Michael DeFlavia was raised in Levittown, Pennsylvania, a planned community built by William Levitt outside Philadelphia. His parents were the original—and only—owners of a house built in the late-1950s until 2012, when it was sold. Mike attended Catholic schools for 16 years, graduating from LaSalle University in Philadelphia. Mike says, “Although not a practicing Catholic, I do believe there is a higher power in the universe.” He is a Vice President at Lautman Maska Neill & Company, a consulting firm specializing in direct response fundraising for non-profits. Mike and his partner Tony Sowers, together for 18 years, originally met at Cloud 9, now G Cask, on July 4, 2000. They began dating the following October. Currently, their permanent residence is in Washington, DC’s Capitol Hill neighborhood, although they spend as much time as they can at their home in Rehoboth Beach. They are currently exploring how to make Rehoboth their permanent—or at least permanent summer—home within the next few years. 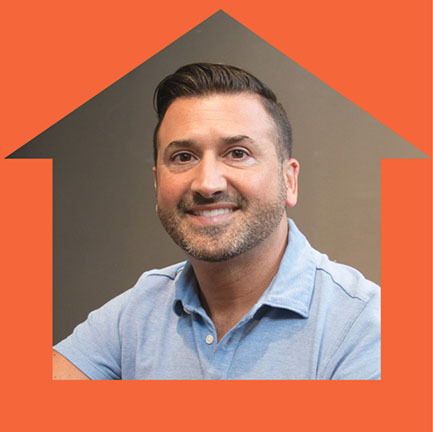 When Mike is not working at his day job as a non-profit fundraising consultant, he volunteers for CAMP Rehoboth, where he serves as a Board Member. He also enjoys relaxing by his pool with friends, and traveling. He is looking forward to next November when they hope to visit South Africa. My first exposure to CAMP as a volunteer was either 2001 or 2002, helping spread the love about the July 4th LOVE Dance. I met some great people helping promote the event on the beach and throughout town. What events/activities have you been involved with as a volunteer? In addition to LOVE for a couple of years, I participated in a beach clean-up, Sundance, the bachelor/ette auction, and various other events in whatever capacity I could help. Of the many events held by CAMP Rehoboth, which is your favorite? I like the big dance events like the previously mentioned LOVE Dance. It would be great to see that reprised—although I know how much work is involved in making it a success. And, I couldn’t mention dance events without giving proper accolades to Sundance. I love seeing all parts of the community come together for a night of fun, dancing, and revelry. What’s your best volunteer memory? It would have to be in my current capacity as a Board member, organizing entertainment events. It’s great being able to offer experiences for people to come together and have a great time. Honestly, there is not one person that stands out. Everyone from whom I’ve had the privilege of learning has influenced who I am today. If you could go back to the age of 18, what do you know now that you wish you knew then? That my friends and family would have accepted me for who I was. I never had a big “coming out” moment. Rather, I let my being gay come out naturally in conversation. Not one person even batted an eye or treated me differently. What is your favorite season here at the beach? Fall. While I love the summer and all the excitement it brings, the fall weather is perfect. And the crowd is still sizable enough and fun. Do you have an LGBTQ hero? I’d have to say Jim Obergefell, et al (see Supreme Court case Obergefell v. Hodges) for their courage to fight for what is right—equality—and stand on the right side of history! I did. While often pessimistic (perhaps as a defense mechanism), I was optimistic in this arena. I had hope that those fighting the good fight, both individuals and organizations such as Human Rights Campaign (HRC), the ACLU, and countless others, would charge forward and succeed in securing marriage equality. We still have a long way to go for full equality for all, in all arenas. We’ll get there. Given the current political climate, are you concerned about the possible loss of rights for the LGBTQ community? Christmas. Regardless of the hubbub about saying Merry Christmas or Happy Holidays, everyone is in the holiday spirit. Do you. Be you. Look toward those who have come before you and learn from them. Don’t be an ageist toward those older than you. God willing, you’ll be old one day too. How long have you been coming to Rehoboth? My first time in Rehoboth was a weekend in 1998 with my friend Ken P. It happened to be the weekend of Cliff Lassahn’s (and others’) Delmarva Swimsuit Pageant house party. Needless to say, I was overwhelmed—but hooked on Rehoboth! The next couple of years, with some friends, we rented a house for the week. Then, in 2001, I joined a summer share with Tony (Sowers) and his friends who also threw big, themed house parties. After a couple of years as a share, we bought a house and continued throwing a party. Only this time, it was a pool party…during July 4 week. Next year will mark our 15th—and perhaps final. We’ll see what happens. Our dear friends and housemates are instrumental in pulling the party together. And, well, we ain’t spring chickens anymore. Since you began coming to Rehoboth, name the biggest change(s) you’ve seen. The biggest one is the development behind our house. When we bought our house in 2002, the area behind it was a corn field. Now it’s houses, condos, and townhouses. The benefit: Hebron Road, which allows us to get into town without going on Route 1. What is your favorite U.S. city, and why? New York City. It needs no answer to why. That I have my friends, family, health, and job. Especially the latter. 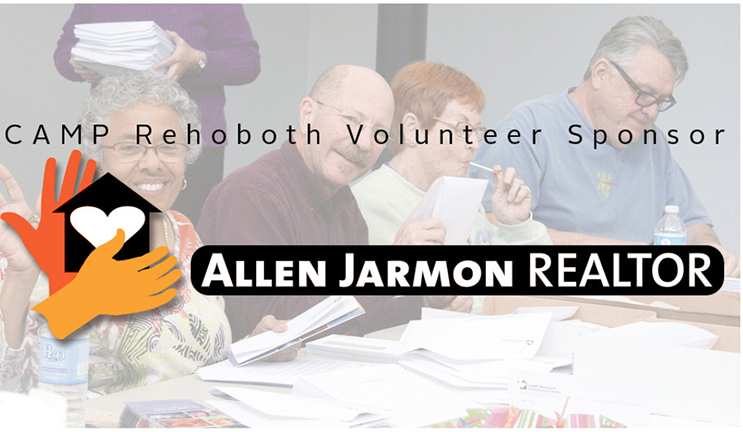 I love helping non-profits and it’s allowed me to afford a place in Rehoboth, our little slice of paradise. And, our condo in Mexico, our winter escape.